BizQuip Solutions specialise in delivering “best of breed” IT products and services designed to maximise productivity for our clients. We achieve this through carefully identifying our client’s needs and designing the appropriate IT solution to meet those business objectives. As well as offering quality remote desktop computer support in Melbourne and Perth, BizQuip also helps you find the right hardware for your needs. We have a range of computers and business notebooks for sale in Perth and Melbourne. 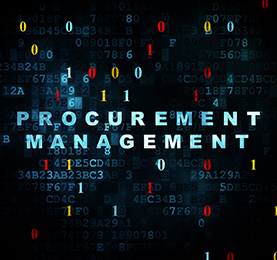 As business, government and education procurement specialists, we only deal with Tier One Vendors that can offer the global backup and support that we insist our clients receive. For a list of our hardware and software partners please see our Partners page. If you’re experiencing difficulties with your hardware and software we provide remote desktop support for customers in Melbourne and Perth. We are specialists in PC and Apple Mac computers, laptops, and notebooks of every make and model. We are able to access your computer remotely and fix issues quickly and efficiently. Find out more about our computer support services in Melbourne. For more information on our remote desktop support and range of business computers and notebooks for sale visit us or contact our Perth (9244 2290) and Melbourne (1300 798 290) teams or via our online form.